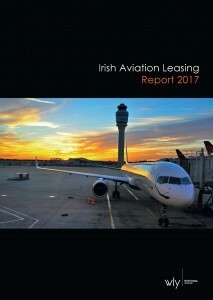 Download the Irish Aviation Leasing Report and read how Ireland has become the leading centre for international aviation leasing and financing. Download this extract from the Global Leasing Report which features a ranking of the top 50 leasing markets by size. 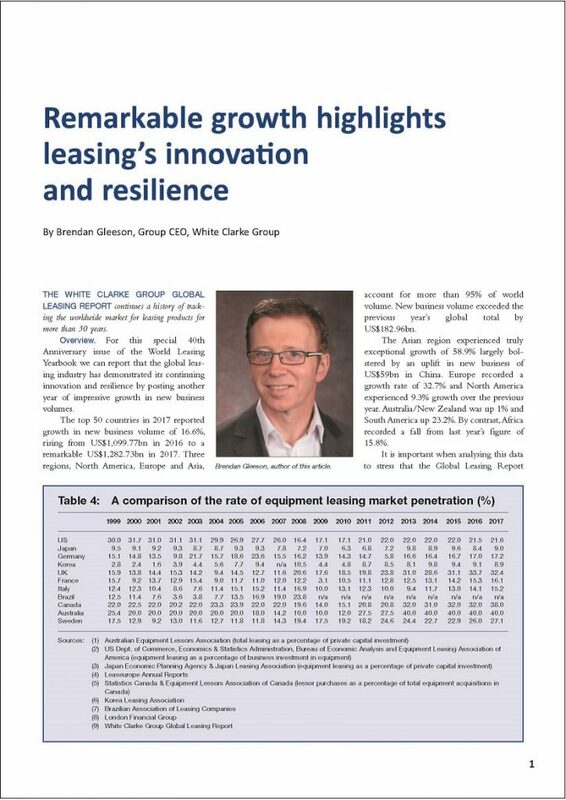 Full Report available in the World Leasing Yearbook. 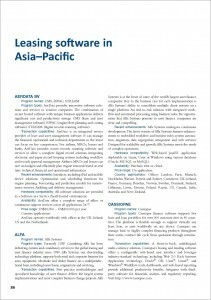 Download this extract from our Leasing Software Report. To read the full reports for Europe, the US and Asia-Pacific, covering over 20 pages and over 30 companies, purchase the 2018 edition of the World Leasing Yearbook. The reports are split per region and list program names and types, transaction capabilities and recent enhancements, hardware compatibility, availability and price range.